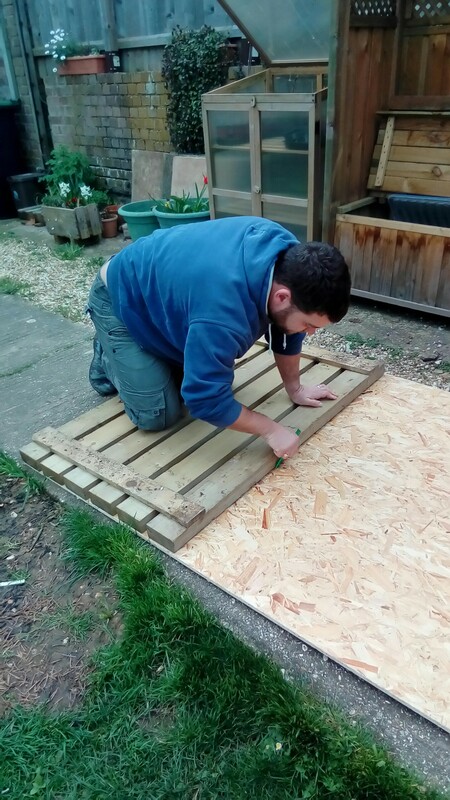 Building a chicken house for less than £30! This weekend we decided to embark on a new project that would test our DIY skills and our chicken knowledge too! We’re building a new chicken house for the girls from scratch! The idea for the project started out because their current house is a red mite haven with so many tongue and groove hidey-holes and felt roofs, and also because should we want to get more chickens, they’d be a little too cosy when they are all in at night. I browsed several online suppliers and soon realised we’d be spending at least £150 on a new house. 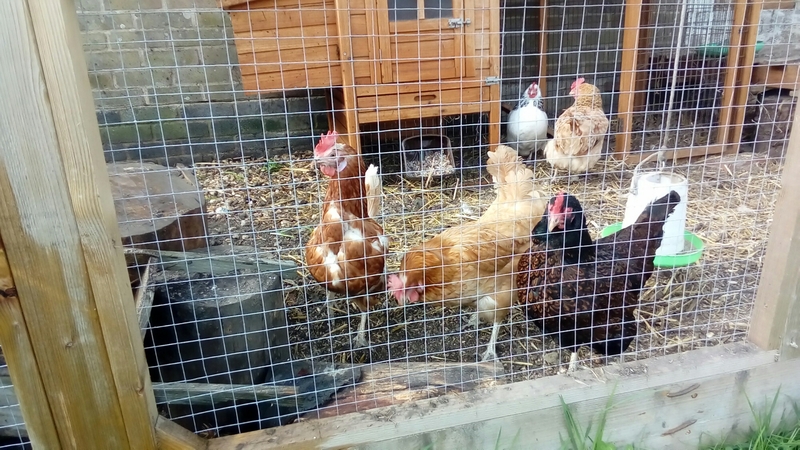 As the girls are supposed to be self-sufficient, they’d have to produce and sell an awful lot of eggs before they could afford to buy themselves a new home with their earnings! 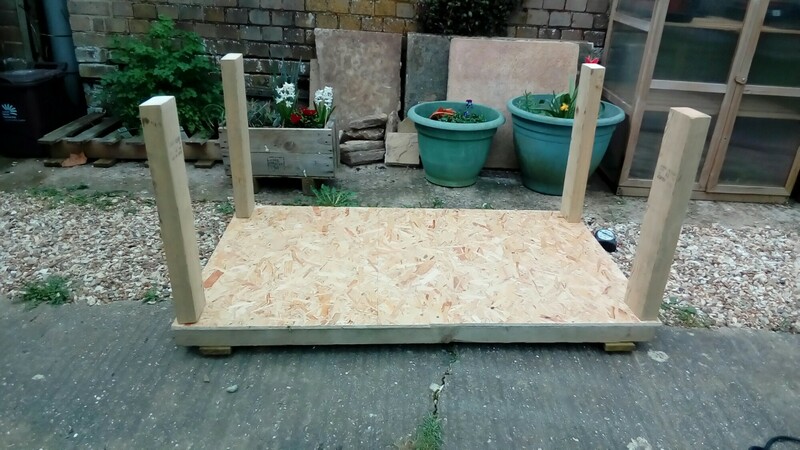 We have purchased two large OSB boards (chipboard) for £15. We’ll have to buy some hinges too, but other than that, we’re hoping to put it together with wood and screws we have left over from other projects. Therefore building a chicken house for under £30, instead of spending over £150. And we’ve cut and attached 3 of the sides using more OSB board. So far, this has used 1 out of the 2 boards purchased. This should leave plenty for the remaining side which will include a door, and the roof. By the time we had done this, rain was on its way, and our ears were ringing from using the circular saw so much, so we called it a day while we were doing well! Next on the list will be the remaining side, door, perches, nesting boxes and roof! 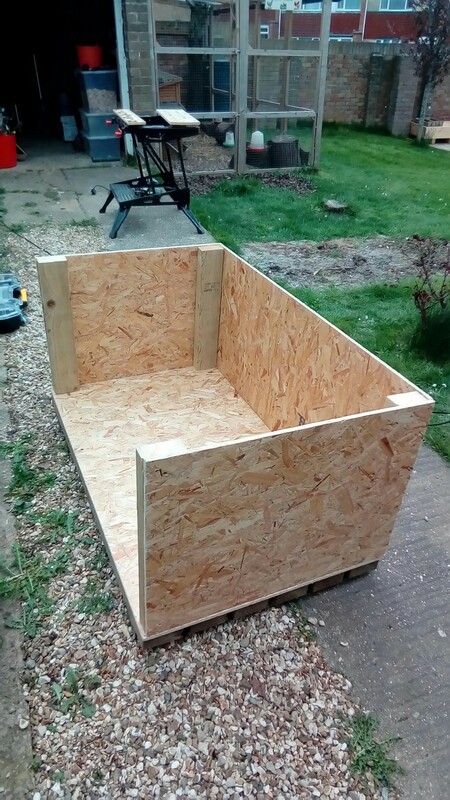 If you’d like to know if our DIY project works out, and therefore how you could build your own chicken house for next to nothing, please follow my blog and my twitter account @tan_churchill for regular updates. Spring is here! Well, sort of. This week welcomed the 1st day of March, and therefore the start of Spring. Someone should probably have told the weather. We’ve had an awful lot of rain in Dorset this week and the weekend has been unpredictable, with lovely sunshine one minute and torrential downpours and howling wind the next. However, this hasn’t stopped us. 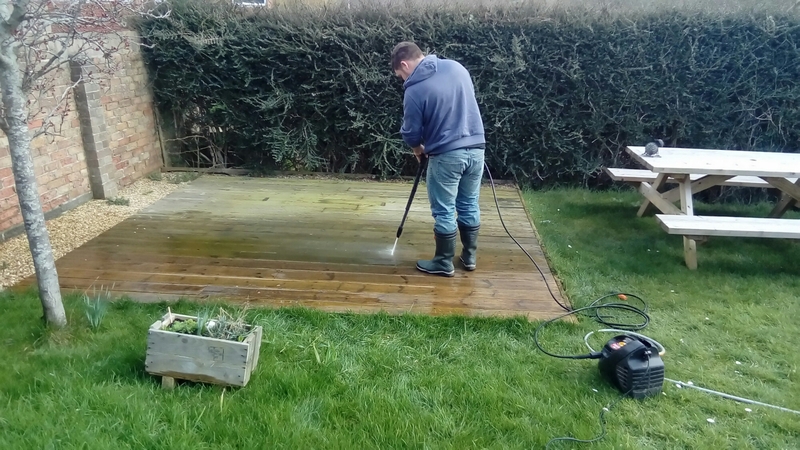 The husband, under strict instruction and supervision, pressure washed the winter sludge off the decking and back steps. I, meanwhile, started planting my bare root astilbes, begonias and aubrietas that I ordered from J Parkers (www.jparkers.co.uk). I haven’t ordered from them before, but found their pricing very reasonable and delivery quick and packaged well. Although, some planting instructions would be handy to refer to as I’ve never planted bare root plants before. Google came in handy and I hope they grow. 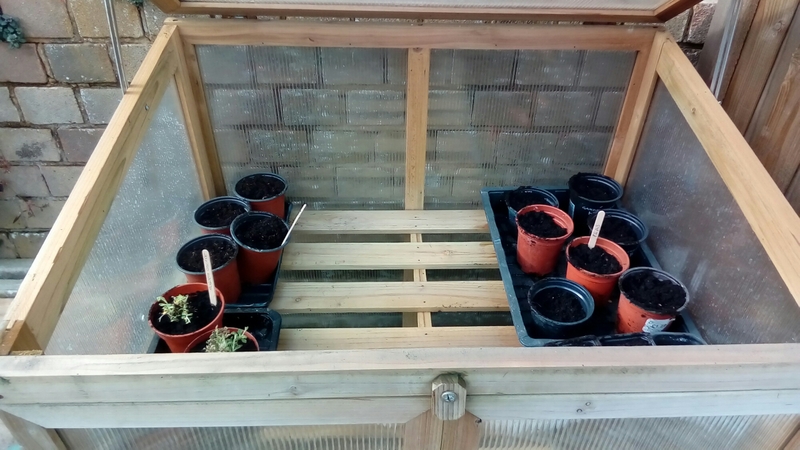 I also started planting the first of my seeds, and so the coldframe has been brought back to life. Spring is officially here. The chickens enjoyed dust bathing in the sun, swiftly followed by shouting at the wind and rain. Ginger, one of our original posh birds (at the back, next to the white one), has started moulting which is reducing our daily egg count. Most chickens stop laying in Winter and start again in Spring, but no, these girls like to be different! So that’s the beginning of Spring. There’s plenty of tasks ahead. But the sun needs to put in a little more effort. And finally, a question to my readers. 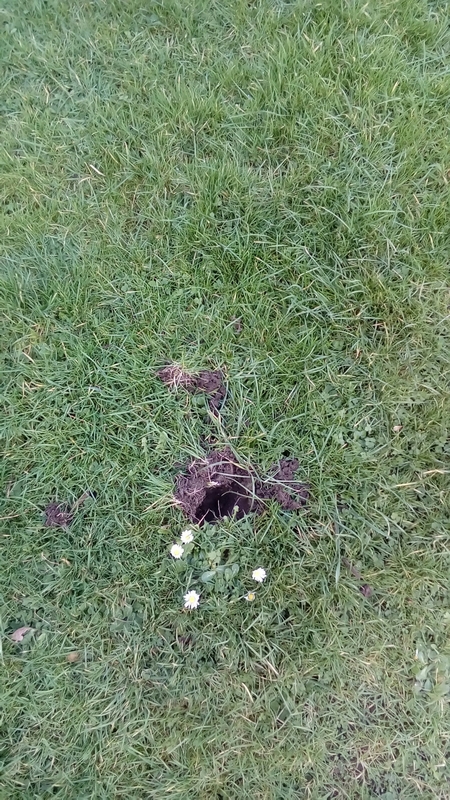 Does anyone know what’s digging up my lawns? I’m thinking badgers.